Members of the station arrived early at the School to give talks on Insanity’s history, each board member’s role, the importance of students and the greater community to the station, as well as holding an interactive tech demo for the students. Students were then split into groups of three with members of Insanity giving tips as to how to create good on-air content. Once each group went live on-air, the other groups became producers of their shows; moderating and ensuring that what went on-air was interesting, and they were able to give conducive feedback to one another. 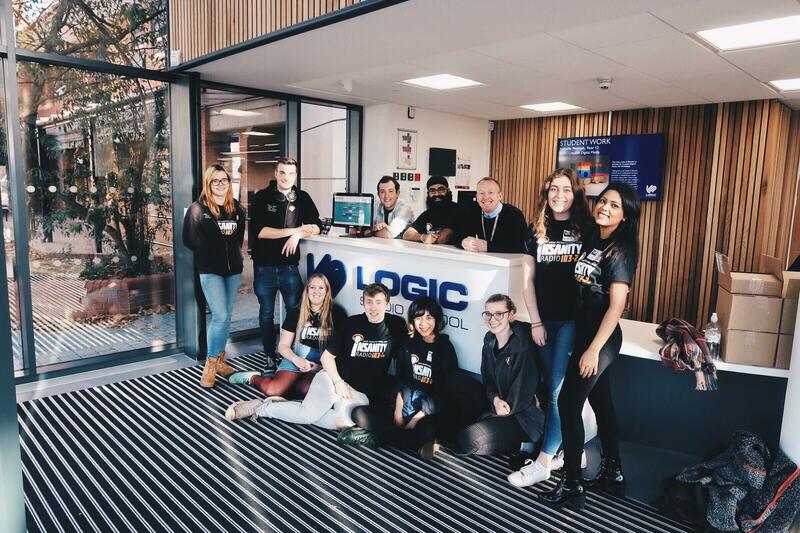 Insanity were also able to interview students, teachers, and the Vice Principal of the school, John Cadogan, who explained Logic’s unique way of teaching wherein they allowed students to cater towards their interests — hence why Insanity was invited to their Creative Media day. The station also discovered that students were able to go and pursue their niche such as game design, which sounds incredibly refreshing. Overall, Insanity is excited to work with Logic Studio School in the future! It was great to see enthusiasm amongst the students over radio and for them to have the opportunity to broadcast live, and the Station has learnt a lot from this exchange.